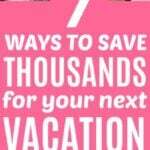 Lately, I have been talking a lot about different ways that you can cut your expenses. I published articles about lowering or eliminating your cable bill, things that I wouldn't do to save money, things that I do to save money and so on. Even though saving money is important, most people do not want to be at the point where money is completely controlling their lives. As I have said before, I am guilty of letting money control my life. However, I am much better with this lately. I used to think about how if I spent a dollar how that meant one less dollar for my student loans. Yes, that is a good way to think so that I would stop spending, however, I never really enjoyed my money. I felt bad about getting Starbucks tea (which I hardly ever get), and I about buying a $25 shirt. 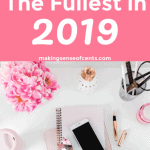 I still calculate our budget much more than the average person, and probably even more than the average personal finance blogger. However, I am much better now. I am more focused on what I can do to change and improve instead of just thinking about everything and not actually doing anything. There are many things that I am very happy with spending my money on. Life is meant to be enjoyed, and if you can find value in something that you are buying and you can truly afford it, then I see no problem with someone rewarding themselves. Tomorrow we are leaving for a road trip to Gulf Shores. This is a last-second trip and somewhat spontaneous. We have known that we might go somewhere but we weren't sure where. This is also our first trip bringing our dogs (yes, both!). If you have any tips for bringing dogs on a 10 hour road trip then please let me know. Also, if you have any Gulf Shores recommendations then please let me know those as well. I realize that the weather isn't the best right now for swimming, but for our French Bulldog this weather is perfect (French Bulldogs don't do warm weather very well, at least ours doesn't at all). Also, as everyone knows, we are planning our long-term trip more and more. We talk about it nearly every single day and we are really excited. We have been spending a good amount of money decorating and repairing things in our home. We have spent around $150 on paint, $215 on vintage dining room chairs, $800 on carpet, and some other things. We also plan on spending around $1,500 to $2,000 on a new garage door as our current one was dented from when our truck slipped into reverse (when no one was in it) and hit our garage door. Usually once a week I go out with my friends. This costs money. I am completely fine with spending money on seeing them. Usually it's pretty cheap too. Somewhere around $15 each week and we talk for hours. Our wedding won't be too, too expensive, but it is costing us some money. I am fine with spending this as I never really had much of a family and we never had any family get-togethers. Having a wedding is something that I am looking forward to because of this. I also just want to plan a good time! Yes, our cell phones are expensive. I would like to lower this at least a little bit, but it is something that I feel that I need since I have a business now. It makes life so much easier because I can check my emails straight from my phone and I do not have to be bound to my laptop. I'm that one crazy friend that everyone has who treats their dogs as if they are children. And you know what? I don't care! I love them. They make my life awesome and I wouldn't have it any other way. If my dog needs to go to the vet, then I will take them. They always get their shots when needed and I give them new toys and treats all the time. What are you fine with spending your money on? Money is for spending! However, its key to differentiate between wasting money and spending it on the experiences that you will enjoy in life. I think everyone should write a list like this: “things I can spend my money on” and if something isn’t on it, then any spending should be thought over twice, thrice, and so on! This mid of November will be my sister’s debut, I already have a budget for that I know I will spend some of my money for the foods and drinks. It will be going just a simple celebration with my family and her friends, I just want her to be happy for her day. That is so nice of you to spend some money on her. I feel like we are in the same boat. I don’t mind spending money on our home, friends, and travel either. I have found that spending money on experiences is more fun for me rather than spending money on stuff! Have fun on vacation! You deserve it–you work so hard! I wrote a post on this yesterday. Housing is something I’m willing to spend a little extra on when it comes to certain things. I’m ok with the extra $100 a month to know I’m in a safe neighbor, have a great landlord, being close to work and having a Washer and Dryer. When it comes to family and friends too, I’m willing to pay extra as well as when it comes to my health. Yes, same here. $100 a month extra to have a better place is well worth it to me as well. I’m OK with updating our home to a certain extent, but as a perfectionist I can often take that tendency a bit too far. There’s a balance there! Yes, there is definitely a balance! I would agree with pretty much everything you listed, but I would also add health care. I’ve had a surgery each of the past two years and it maxed out our insurance. I think it was money well-spent, though, as health is so important. I will never feel bad about sinking money into doctor’s visits or prescriptions. Yes! I definitely forgot to add healthcare. I’m fine with spending my money on anything educational for my girls, car maintenance, and if I have extra spending money, clothes. I am not really big in to travel but I have been thinking about saving up so I can take the girls somewhere fun next year. Who knows travelling may grow on me. We’ll see. Great list 🙂 Where would you bring them? Like you, I spent my money on travel (though I limit it somewhat – I don’t want to go overboard), my home (in the hopes that we’ll get the money back some day) and spending time with J, family, and friends. All good causes! I agree with everything you said. I use to think that spending money of experiences was a waste but now, I’m the complete opposite. I’d rather spend my money on travel and activities rather than things. I also spend a lot on my cell phone that’s an expense I’m willing to have. Yes, same here. I used to be the same in that I would always say that I preferred to “have something to show for my money.” However, now I am completely different! I relate and I also feel guilty when buying stuff for myself and often compare $1 spent to $1 less saved to travel to my sister’s wedding in England next year. But I am trying to work on that and remember that I have every right to replace shoes with holes in them or buy a cup of coffee occasionally. 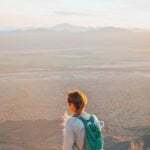 A friend of mine always says that the two best things to spend money on are education and travel because no one can take those experiences and what you have learned away from you. I absolutely agree with that! I have no problem spending on travel. I am always dreaming about my next big trip. 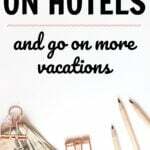 I am still frugal while traveling, and find ways to spend less, but any money spent traveling is money well spent. You are so right in realizing that YOU should be the one controlling your money and not your money controlling YOU! Take care and enjoy your road trip!! Aside from pets (since we don’t have any), I agree with all your points, especially travel and spending time with loved ones. I hope you have a blast on your vacay, can’t wait to see the pics! I hope you share some pictures of the work you’re doing on the house! Sounds like fun (I really like to decorate). That’s so great you’re able to just take off and leave on a spontaneous trip. I hope you have fun! Family, travel, my cats and car repairs probably rank at the top of what I don’t mind spending on when it comes up. I need to work on lowering my cell phone bill, though. I should be taking before pictures, I keep forgetting! It’s always an uphill battle trying to defend my expense of a smartphone, especially if you ever bring about the word frugal. But it is the one expense I am ok with. I’m fine with spending my money on quality food. I like to cook, I like to be healthy, and I like to expose my young son to healthy and interesting foods. I could certainly spend less on groceries, but I really don’t want to. I’m with you on spending a bit of money to go out with friends. I don’t do this as often as I used to, because I want to spend time with my son when I’m not working, but dinner or coffee once or twice a month is fine by me, so I can stay connected with people I care about, and “recharge my batteries” so to speak. One day, when my kids are older (expecting #2 in Jan) I’d like to expose them to travel, as I think the experience brings a lot to life. I’d really like to teach my kids that spending money on experiences is valuable, and probably more valuable than spending money on stuff. Research shows it makes people happier. Sounds like we are very similar. Experiences are very important to me. though we don’t travel as much anymore as i’d like, i would agree that travel is totally worth it. especially if you work hard, you deserve a little break to enjoy life/relax. and my dogs are for sure our spoiled babies too! happy friday michelle! Thanks Jackie for stopping by. I definitely agree with you as well! I’m okay with freely spending money on my kids’ activities, like piano lessons, sports, dance, etc., but I’m way more frugal when it comes to me. I love fashion, but usually when I go gaga over an expensive item, I just try to find a similar piece within my budget. Yes, I am so much more frugal when it comes to me. I am always buying things for others though! 2. Cell phone – I really do enjoy having access to the internet where ever and when ever. 3. Food – We don’t do it often, but man oh man do I love a really really nice meal. Yes, we have started churning cards and the benefits are awesome! For me it’s travel! My trip to europe probably cost me 3k. I never ever woulda done it before because “it’s too expensive” but I’m so glad I did. I got so much joy out of that trip with my husband. Some things are just worth it!! Definitely sounds worth it to me! It’s all about your priorities and what is important to you. Hope you have fun on your spontaneous trip! Spending money on things can be seen as an investment. If I’m paying something that will allow my family and friends to spend quality time together, it’s all good. But when it comes to buying gadgets and toys, I just don’t see much value in that, so I tend to get pretty stingy at those. Yes, I am the same when it comes to gadgets and toys. I just don’t really care about them. I definitely don’t mind spending money on travel. It’s definitely a must for us. So far, we have been traveling every year since 2010. Since then, we have been on six vacations and all of them have been a week long! We also spend money on our dogs, and I don’t mind spending money on clothes because my fave store is Goodwill. That is awesome about all of your vacations Whitney! I don’t mind spending money on experiences, especially travel, concerts, and things my friends want to do. It’s spending money on material things I have issues with. While I spend a lot of money on concerts, I have so many memories and incredible nights that I’ll never forget and I believe it’s worth it. The same with travel. I love it. And, of course, spending time with the people I love is a priority and while we’re all broke college kids and try to keep things cheap, sometimes you just gotta spend money and I have no regrets about spending money with friends. Same here! I definitely prefer experiences. Lulu’s at Homeport always has a decent atmosphere. I have family there, so I rarely go to restaurants, but there’s a Publix in Orange Beach that has awesome take-away food. I even got sushi there once and it was good! If you’re looking to save money, check it out. Otherwise, there’s never a lack of fried seafood places. I saw Lulu’s today but we didn’t go in there. I will definitely try to go there before we leave! I like people who treat their dogs like family! Thanks for your list, it makes me feel better about what I enjoy spending money on. I also don’t mind spending money on travel. I love to travel. And of course I’ve spent a lot on my fixer-upper home since i bought it last year. I’m hoping to see the return on investment we sell it someday. Your road trip sounds interesting. Enjoy and Safe travels! I’m one of those people who just doesn’t get the pet thing. It just seems like such a huge waste of money, but that’s why we call it PERSONAL finance. I’m ok with spending money on good food, whether that be eating out at a restaurant or buying good ingredients to cook with. I’m also with spending money on experiences with my family, like travel and tickets to the ballet (which I love), and organizations/charities and people I believe in. Yes, good, tasty food is important! This is a great question. 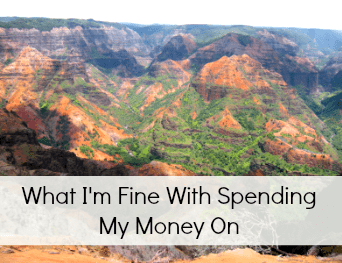 I am fine spending my money on: Experiences (snowboarding/travel/food/going to the theater/extreme sports, etc), friends, my home, and my family. That pretty much sums it up! Eating out once in a while is something I’m definitely willing to spend money on! Of course, I don’t go too crazy with the meals, but eating out with my BF is always a great time – we’re wannabe foodies, so we’re always looking for new and affordable places to eat! i completely agree with you! i think that there is a time to save and a time to SPEND! too bad my husband thinks that the time to save is much more often, something i’m partially grateful for! but travel is the one thing that i think it’s best to spend on. there’s no better investment than traveling and we’re trying to do as much as possible while still stay in our budget! Education is a good investment, even if you don’t go into the field you studied. Travel is worth the time and money . . . those experiences cannot be taken from you. 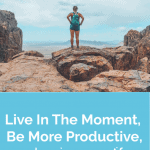 Outside the workplace, the majority of our time is spent at home, so money spent to upgrade the structure and/or add items that bring pleasure is worth the price. Never understood people who waste their money on tobacco products, excessive imbibing of alcohol, anything illegal and tattoos.